The National Baseball Hall of Fame and Museum in Cooperstown, New York has selected Carmichael Lynch as its strategic and creative advisor. 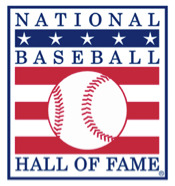 The Hall of Fame, a nonprofit educational institution dedicated to the preservation of baseball history, seeks to further enhance its reputation as the preeminent destination of its kind. The first Hall of Fame work from Carmichael Lynch will debut in early spring, just in time for Opening Day.